The Purple Pipe Company specializes in the delivery and application of reclaimed water for landscaping and construction purposes. Our company owns 2,000 - 2,500 gallon medium body water trucks equipped to deliver and apply non-potable water in a timely and cost efficient manner. Our mission is to extend recycled water regional pipelines to potable water consumers whom otherwise do not have access to them. In tandem with the installation of infrastructure at the site of application (please see Purple Pipe Water Works), we have the ability to reduce the non-potable per gallon price levels which are more in line with today's trending potable/municipal rates. Purple Pipe Water Services charges for the cost of delivering and applying high quality non-potable water and a large percentage of that cost is the time it takes us to irrigate. However, we have developed a few different options for more efficient irrigation. If you have a large property, need your backyard irrigated, or just don't want anyone coming onto your property, ask us about installing "Purple Pipes" or an automated distribution system and you may be eligible for large savings off the delivery rate. There are many ways to apply delivered water via water truck, but at each location, we try to recommend the most suitable and cost effective solution. In general, the simplest, but least cost effective way, is to have a one or two man crew irrigate directly off the water truck with various length hoses. Then, when the customer is ready to take the next step and prime their property for the water truck, Purple Pipe Landscaping (CL#1033645) designs and installs irrigation systems which the truck can then plug into each time it arrives. This brings down our time on site, resources utilized, and thus the overall cost to our clients. Purple Pipe Water Services only uses the highest quality non-potable water for landscaping purposes. Please refer to our water quality page for more information. 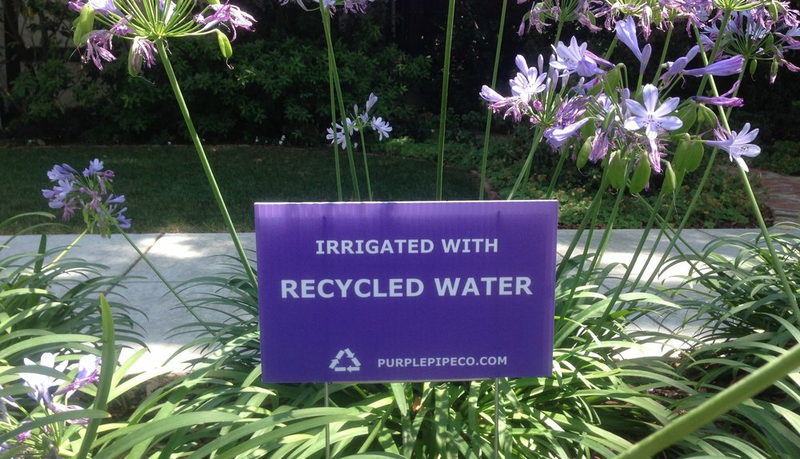 The Purple Pipe Company supplements recycled water and/or reclaimed groundwater into a traditional irrigation schedule of potable water on lawns, gardens, and landscapes. Pricing is based upon how long it takes for us to deliver the water and apply it to your plants property, so setting up the site beforehand with purple pipe or water storage tank and/or an automated water distribution system should help us bring down watering times and pass the cost-saving on to the you. Also, many homes don't need an entire truck at a time. Ask us about "neighbor share" and if we get enough customers on your block, we will be able to discount the price. You will essentially be splitting the drive time. For subscription hand irrigation, front yards can be as low as $20/visit and in general, we come by and water once or twice per week. Deep tree soaks can be as low as $50 and full tank 2,000+ gallon overnight slow drip irrigation as low as $175. If you already have a rainwater catchment system, water storage tank, or cistern on your property... or if you have Purple Pipe Water Works install one, we can schedule you for dry season groundwater refills on an as needed basis of as little as $60/truckload. 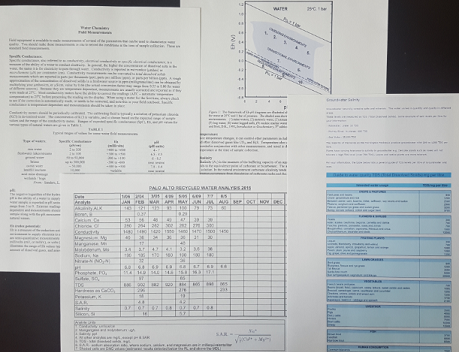 Supplementing your traditional potable irrigation cycles with reclaimed water could lower you to a reduced price tier for municipal/potable water. iv.) other considerations such as "neighbor share" or installation of purple pipe infrastructure.